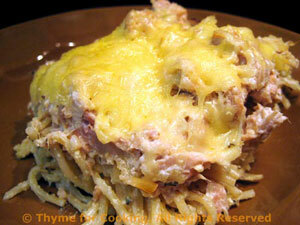 Thyme for Cooking Dinner tonight: Pasta Timbale with Tuna. Not quite a Spaghetti Pie; not quite a Tuna Casserole. It's an updated, combined, healthier version. 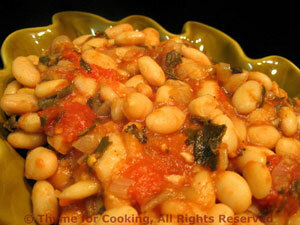 Remove from fridge and gently reheat, either in saucepan or micro.